Any profit is a good profit. Avis Budget Group, Inc. this week reported results for its fourth quarter and year ending Dec. 31, 2014. For the quarter, Avis had revenues of $1.9 billion, a 2 percent increase compared with the prior-year fourth quarter. But its adjusted Earnings Before Interest, Taxes, Depreciation and Amortization (EBITDA) increased 13 percent to $129 million. The company reported net income of $25 million, or 23 cents per share, an increase of 53 percent, excluding certain items, and Generally Accepted Accounting Principles (GAAP) net income of $23 million, or 21 cents per share. 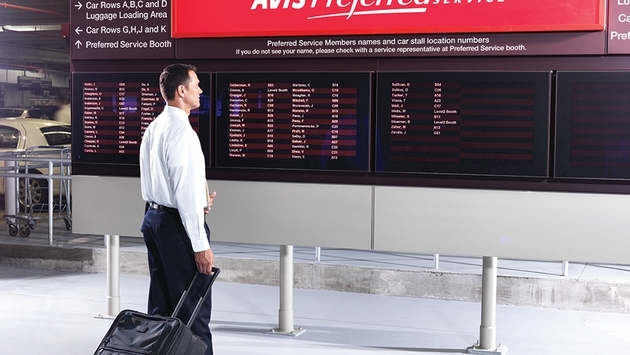 For the year, Avis Budget reported revenue of $8.5 billion, an increase of 7 percent compared with 2013. Adjusted EBITDA increased 14 percent to $876 million, the highest total in the company's history. Net income was $327 million, or $2.96 per diluted share, representing a 35 percent year-over-year increase, excluding certain items. The company reported GAAP net income of $245 million. "We had a record year in 2014 as we saw incremental benefits from our key strategic initiatives, and reported our second consecutive year of increased pricing in North America," Ronald L. Nelson, Avis Budget Group chairman and chief executive officer, said in a statement. "We returned $300 million of cash to shareholders through share repurchases, reducing our diluted share count by 5 percent, while also making a number of strategic investments, including our purchase of our Budget licensee for Southern California and Las Vegas in the fourth quarter." Avis Budget also released its full-year 2015 estimates. It ecpects full-year 2015 revenue will be approximately $8.8 billion, a roughly 4 percent increase compared to 2014.